There are lots of ways that you can donate to the appeals which are following the Nepal Earthquake. Shelterbox Appeal are just two options from many. 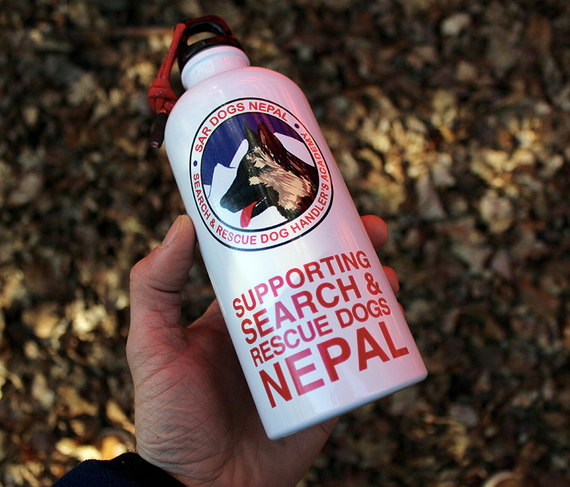 I've just donated £12 to a specific organisation: @SARDOGSNepal by buying a stainless steel water bottle from TrueMountain. If you're teaching about the earthquake (see previous blog post with ideas for resources) consider making a donation, however small, to one of the charities involved. This quote is from the WaterAid website. The aftershocks keep coming as violent as ever. The second night (now) is more difficult because there's rain and a thunderstorm. We're emotionally exhausted and trying to support one another. We haven't had access to electricity which has cut us off from water supply. Our biggest concern right now is getting through the night safely as the rain doesn't seem to be planning to let down anytime soon.